This delicious dessert marries the two most delicious flavors together: slightly tart cherries and creamy, almonds. Our smooth almond-infused cheesecake is topped with an elegant cherry compote, making a dessert no one can say no to. My two absolute favorite things in the entire world are chocolate covered cherries & cheesecake so when I saw this little number, I couldn't wait to try it. I'm also very fond of anything almond flavored so I figured I couldn't lose. This cheesecake is fabulous. That being said, I do have two tiny, little critiques & I'm kind of nit-picking here. 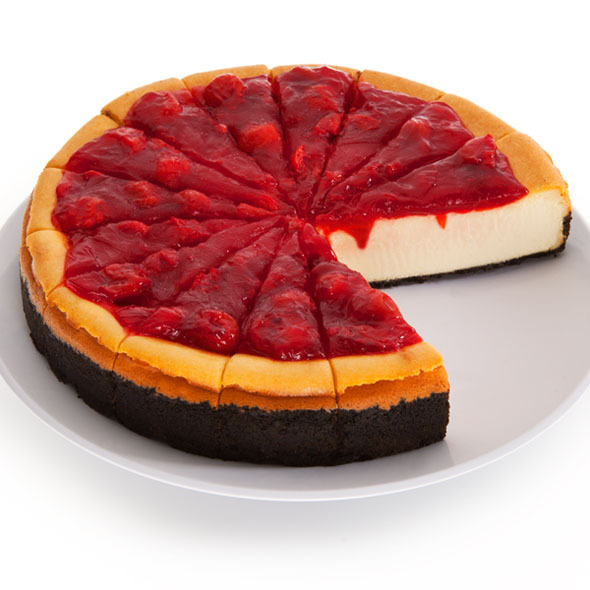 To make this perfect - for me - the cherry topping (which has loads of big, plump cherries) needs to be just a little sweeter & the cheesecake needs more almond flavoring to not be overshadowed by the cherry topping & the chocolate crust. 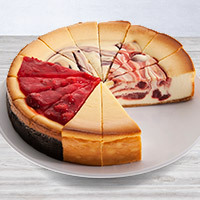 I think I was expecting the almond flavor to be as strong as it is in the amaretto cheesecake since amaretto is, after all, an almond flavored liqueur & since almond extract can be a delicate flavor & could easily be overpowered by the cherries & chocolate & that was my experience. 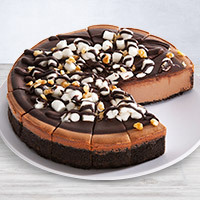 I couldn't really detect much almond flavor unless I took a bite without any cherry topping or any of the chocolate crust. 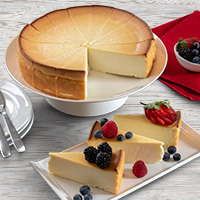 Nevertheless, I didn't really miss it after the first few bites because this cheesecake is still very, very good.